Wondering how to do multi-bitrate streaming for video hosting? This article explains the process for adding several bitrates to video files. This process includes HD video hosting, such as 1080p bitrates. Not sure why you might need to do multi-bitrate streaming in the first place? First of all, multi-bitrate streaming provides high definition video content to desktops and laptops, while also reaching viewers using mobile devices. Moreover, multi-bitrate streaming allows your viewers to access the right quality of content for their internet connection speeds. This way, you can maximize the kinds of viewers you and your multi-bitrate streaming can reach! Note: to learn more about this topic, you can also check out our article on Wirecast Pro video broadcasting software with multi-bitrate streaming. Let’s turn now to a discussion of what multi-bitrate streaming entails. First, we’ll offer a review of how and why multi-bitrate streaming can be a good option for your viewers. After that context, we’ll provide our step-by-step instructions for doing multi-bitrate streaming quickly and easily through your DaCast account. Unless you are dealing with small files, you generally want to consider using multi-bitrates. It’s true that content creators and broadcasters have an obvious desire for people to watch their content in high quality. While this is of course the ideal, it’s also important to recognize that not all of your viewers will be able to access the higher connection speeds required for the highest quality streams. The more popular and widespread streaming video content has become, the more viewers have come to expect a high-quality, interruption-free streaming experience. Many studies have shown that, in recent years, viewers’ average tolerance for buffering has continued to decline. According to those studies, in 2011, an average of 3 minutes of viewing time was lost for every 1% increase in buffering was 3 minutes. The following year, in 2012, that figure jumped to an average viewing time loss of 8 minutes. In 2013, the same study found an average viewing time loss of 11 minutes! We recognize that doing multi-bitrate streaming with live content can be challenging. For example, live multi-bitrate streaming requires a very fast upload speed. Please keep in mind that this article covers on-demand content streaming specifically, and not live streaming. Multi-bitrate streaming of pre-recorded content files, on the other hand, is surprisingly easy. Below are instructions on how to add this option to files within your own DaCast account. Once you have this bitrate file, log in to your DaCast account. From within your account, upload the file to your VOD (video on demand) files. There is a multi-bitrate tab that allows you to add more bitrates. See the screenshot below for a model result. We uploaded this video file with an original resolution of 816p (1749×816). To support those viewers with slower connection speeds, however, we enabled the option for multiple bitrates depending on the viewer. As you can see from the above image, this feature allows broadcasters to add significantly more bitrates to their video files. 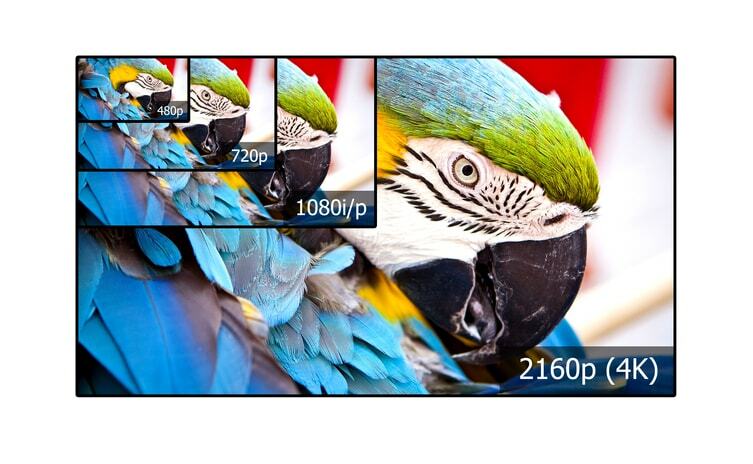 For example, for a high definition 1080p video file, you can add options for 720p, 576p, 480p and 240p resolutions. This design gives the broadcaster–you!–the flexibility to customize your file formats to your needs and goals. You can chose to offer many bitrate options to your viewers, or just one or two options. Overall we designed this feature to ensure maximum customization options for you and your viewers. Let’s take a moment to address the “Auto” feature (also shown above). If you’ve ever streamed video content from YouTube, Netflix, etc., you may have noticed a similar option in the settings tab on the video screen. The “auto-bitrate” option is a powerful tool for selecting the best bitrate available based on each viewer’s individual connection speed. For example, a broadband customer viewing with their desktop will likely receive the 720p version. However, a viewer streaming on their iPhone via their cell service will likely receive the 240p option. With the auto: feature, viewers also have the option to click the gear button to change the “auto” setting. However, this features is designed to provide a non-intrusive experience. By non-instrusive, we mean that viewers can put in minimal effort to experience the best quality stream that their connection supports. So how does multi-bitrate streaming work specifically with DaCast? On this page, you’ll see a list of possible resolutions (i.e. 480p). At the top of this list you’ll see a resolution labeled “Original File”. This line denotes the resolution and bitrate of the video file that you uploaded originally. If you are uploading a file that is not compatible (a red or yellow “Original file name”), you then have the option to encode a compatible version at the same resolution. Resolutions below the original will appear with a clickable box under the column ACTION. Select the resolutions you want to get and click on the ENCODE button. . This process can take some time, depending on file size. While in progress, you’ll see a “Waiting” progress bar that confirms that the system is encoding the file. Note: You can leave this page while the progress bar is in motion without slowing the encoding process. When the encoding process finishes, the files automatically appear in your DaCast profile. From there, your viewers can select the best bitrate option for them. Note: If you decide or need to remove a bitrate optioni in the future, you can click the DELETE button. It’s also important to mention that use of the multi-bitrate feature does increase the storage size and use your transcoding credits on your DaCast account. This is because each additional bitrate requires more storage and more transcoding credits to be encoded. What if you need to free up storage space on your DaCast account at a later date, without actually deleting a file from your account? DaCast allows the option to remove some of the multi-bitrates to conserve space without eliminating content available. And if you need more transcoding credits, you can always purchase more in your DaCast account. The multi-bitrate option has been a feature of our video streaming solution since we debuted it in September of 2012. And we’re glad to be able to offer this service to all of our customers! In this article, we’ve covered the basics of multi-bitrate streaming for your video content. We’ve also provided instructions for how to add multi-bitrate streaming options for your viewers via your DaCast account. We hope you feel more confident to try out this feature, and we’d love to hear your feedback in the comment section below. For regular tips on live streaming and exclusive offers, we invite you to join our LinkedIn group. If you’re new to DaCast and interested to give us a try, you can sign up for our 30-day free trial (no credit card required)! What have you got to lose? Thanks for reading, as always, and good luck with implementing multi-bitrate streaming. Buffering Issues and No Signal Issues – Despite having a strong broadband connection I still come across issues now and then. I used a separate laptop for the FMLE and upload and another laptop to monitor the download. It seems after about 20-30 minutes into a LIVE broadcast (chruch, sporting event, etc.) it will start to experience buffing problems with the download. Sometimes it doesn’t catch up and locks which requires the viewer to either reset/refresh the browser or close it out and open again. I have experienced a few times where the FMLE shows it is connected, online and broadcasting. I can even monitor the stats as they change. The problem here is the FMLE appears to lock up. Sometimes I can just stop it and start again, other times I have to disconnect and connect again, and worst situations I have to close and restart the FMLE. Are the issues you are getting universal? Meaning are all viewers seeing them after about 20-30 minutes? Or only those who have been watching the whole time? If it’s everyone, possible your CPU is getting over tasked. Do you have a lot of other programs running while FMLE is? I submitted a ticket to our engineering team. They will come back to you directly with the answer. The multi-bitrate option for VOD is great and all but what we really need is multi-bitrate or adaptive bitrate for streaming. This is the main reason our clients constantly choose Facebook or YouTube over a service like DaCast. I only need to push ONE main stream to their primary ingest servers and the server creates the secondary streams on the fly. I typically stream my 1080p content and the server creates 720p and 480p for users with lower bandwidth. We agree that multi-bitrate is a very important thing – and do not worry, we are currently working on an even more simple solution for all our broadcasters. But so far, yes, the only multi-bitrate solution that is provided for live-streaming is when our customers have their encoder doing the job. Rest assured that we are working as fast as we can on a solution to provide you.